Russia calls for an urgent meeting of the UN Security Council over a recent incident involving three Ukrainian vessels and its own navy and air force to stop the alleged illegal use of international waters. 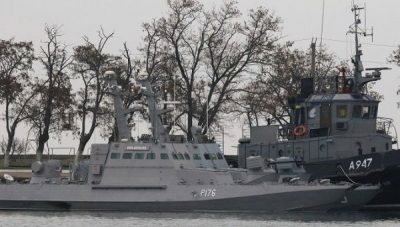 On Sunday, three ships belonging to the Ukrainian Navy crossed into Russian territory, sparking new tensions amongst both nations. The latest development on the story is that the Russian Ministry of Foreign Affairs has summoned Ukraine’s charge d’affaires, alleging this was due to the incidents that took place with the Ukranian ships, according to TASS state media. Both countries have accused each other of being responsible for the incident. The Russian Federal Service (FSB) has reported that this move by the foreign vessels represents a violation of Articles 19 and 21 of the UN Convention on the Law of the Sea by entering a “temporarily closed area of Russian territorial waters, moving from the Black Sea toward the Kerch Strait,” reported Sputnik news agency. The Kerch Strait is a body of water connecting the Black Sea and the Sea of Azov, which is part of both countries’ international waters. The response of the Russian Federation to the entrance of two Ukrainian artillery vessels and one tugboat was to block their passage with a cargo ship, and scramble fighter jets in the area. “Russia has confirmed its vessels have used weapons to stop Ukrainian ships that had entered Russian waters in the Black sea illegally,” according to Russia Today. For its part, Ukraine President Petro Poroshenko has declared martial law in response, granting “the military the powers needed to ensure national security,” according to the Washington Post. “Russia requested an urgent convocation of an open meeting of the Security Council on the Morning of November 26 under the agenda item ‘Maintenance of international peace and security,” a meeting which has tentatively been scheduled for 11 a.m.